If you viewed the last video, then you know I have something super exciting I want to share with you! It’s a special, limited-time opportunity that I can’t wait to tell you about: a live training course for practitioners (student affairs professionals, college ministers and church leaders) who want to equip students to thrive after college. Are you ready to take your efforts to the next level? Check out this page and act quickly. The course begins next week! There are only a limited number of seats and this offer is only good until this Friday at 11:59pm ET. In this video I share a little bit about how the Life After College program got started at Hope College. One of the key things we talked about as it was getting off the ground was the importance of space and place. At the end of the video I mention a special, limited-time opportunity I have for you. It’s rolling out super soon, so keep your eyes on your inbox! If you don’t already receive updates, you can subscribe here to be sure you don’t miss it. PS Don’t forget to leave a comment below the video about one thing that stood out to you or one question you have – I want to hear from you! I’m excited to share the second video in this series! If you’re wondering where to start or what to works towards, this next video covers 5 “must have” features we should include in any intervention to equip students for life after college. I also touch on the question of “Who is responsible for our college seniors?” I’m curious what you think about that question as well as what feature(s) you might be implementing or planning to work towards. Leave a comment below the video and let me know! This is the first of series of videos for those who are serious about equipping students for life after college. In this video I get personal – see if you notice it before the reveal. 🙂 I also share why this matters – how intervening in the lives of students during the college years makes a difference in their transition…and beyond. Last, you’ll see one tip and one activity that you can use right away with students. 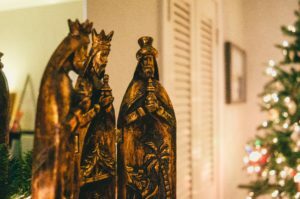 I hope you had a wonderful holiday season and that you continue to celebrate as we remember today the Magi who traveled miles to visit the new born King. As students also travel miles to return for classes (today or in the coming weeks), they too many be looking to encounter the Savior. As great as breaks may be for some students, they can also be rough for others. I often think of semester breaks as a preview or pilot of what life after college might look like. These breaks are like mini transitions for students. Instead of just asking “how was break?” and moving on after a one word answer, we have the opportunity to help students truly self-reflect on their time. Some students will have wonderful support over break to encourage them while others have the opposite. It’s during break that students often find out what sharing their faith looks like when they may not have the social momentum of a campus outreach to spur them on. Or they may discover that their bible becomes a coaster when a mentor isn’t holding them accountable to read it. I remember processing with a student who had an “awful” (her words) break last year. She went home for a week and it was a “disaster.” She struggled with her relationship with her parents. She slipped into old sin patters, and her faith (which seemed so strong when surrounded by her peers at college) felt paper thin. We need to help students process these mini transitions because they are often previews to bigger ones. Here are some tips for transitional times (click below), which might be especially helpful as you think about students who just graduated last month. Now is the perfect time to drop a quick line or text to see how they are doing. PS Keep your eye on your inbox in the next week or so. I’m rolling out something super exciting you won’t want miss!